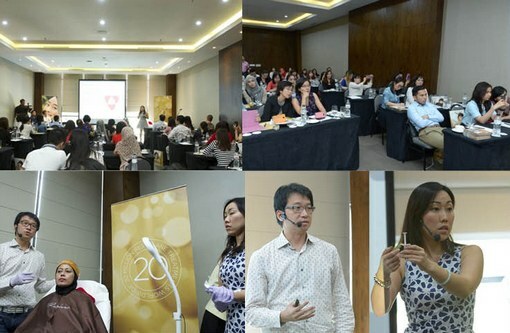 Hotel Veranda, Jakarta – Restylane held a seminar with the theme “Asian Beauty Concept : Mid Face Augmentation”, presented by dr. Allen Huang (Restylane trainer of Taiwan) and Christina Hsu (Head of Galderma Singapore). About 60 beauty practitioners from all over Indonesia attended this seminar. In the first session, Christina Hsu introduced the latest technology of Restylane, namely New Delivery System. On the next session, dr. Allen Huang explained about Mid Face Augmentation with Restylane, and performed a live demonstration using New Delivery System technology, for under eyes and smile lines indications.